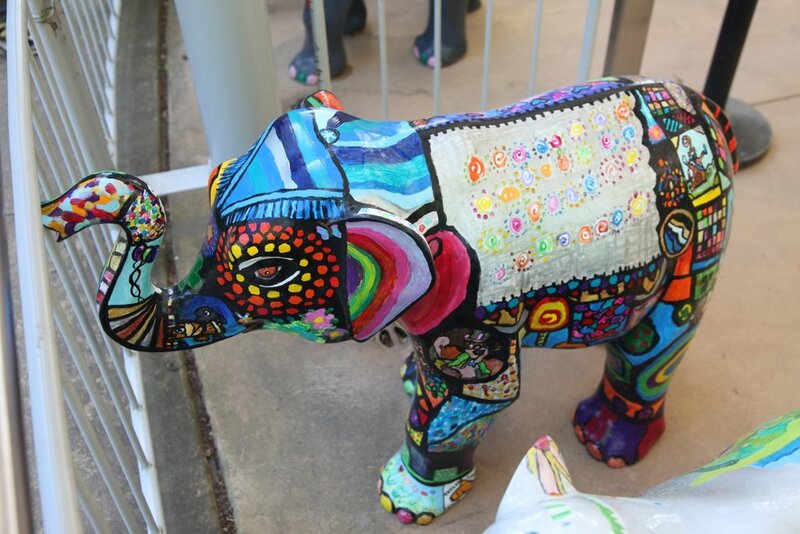 Our little Mali the Elephant has spent the past three weeks at Melbourne Zoo along with 54 others her size which were decorated by students from Victorian schools. 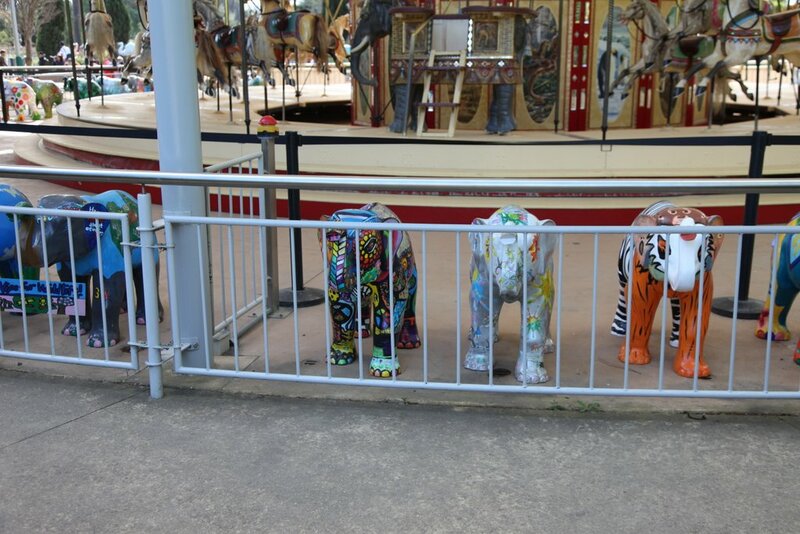 She was positioned on the South side of the Zoo’s historic Carousel. Not far away was a herd of 50 larger Malis decorated by professional artists. The herd seemed to be heading in the direction of the Asian Elephant enclosure where real Mali spends her days playing with her little brother Ongard and the rest of her family. Our decorated Mali model will soon be returned to us and spend her days being admired by the students and families of Taylors Lakes Primary School. 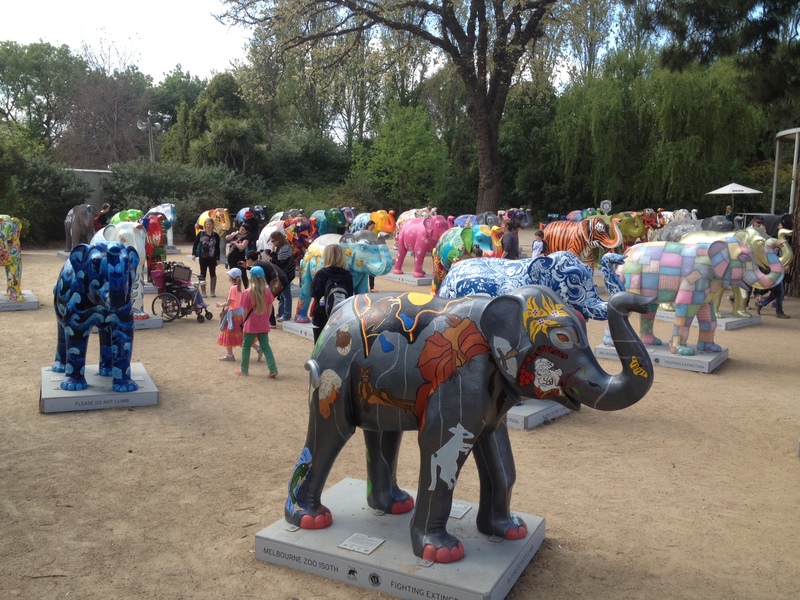 My thoughtful older daughter Kate who is a TV journalist here in Melbourne was sent on assignment to Melbourne Zoo which celebrated its 150th Birthday today. 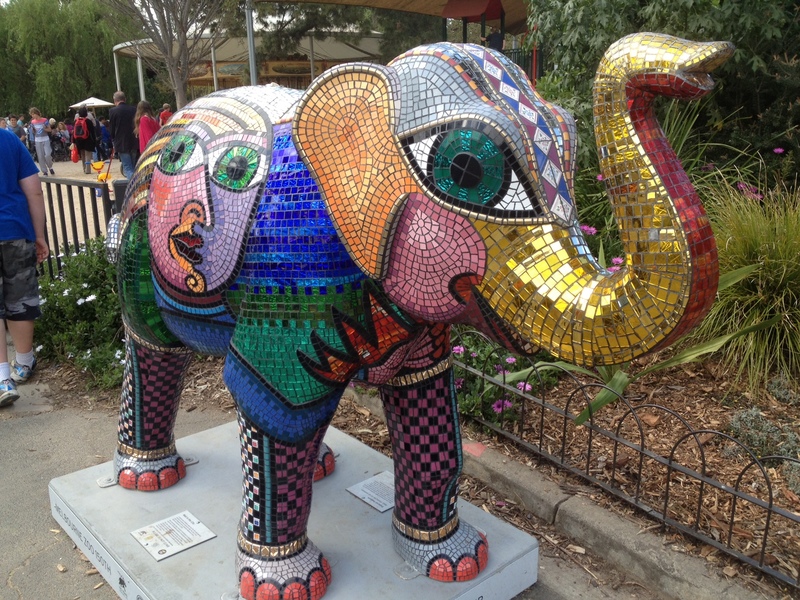 Kate took this photo of Victorian Artist Deborah Halpern’s Mosaic Elephant. 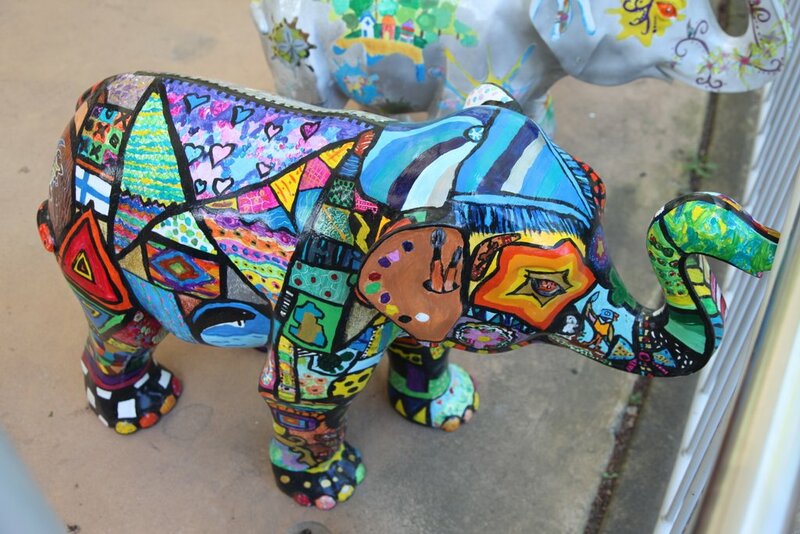 Her elephant was one of 50 (pictured below) decorated by professional Artists as part of the Zoo’s Mali in My City Project. I was fortunate to attend a two day Mosaic Workshop with Deborah at Ballarat Art Gallery in 2005. As a result I have helped our Grade 6 students make a Mosaic for our School Library wall each year since then. We make a 600 x 600 mm picture of the animal which is featured on the Chinese Calendar for that year. This year it is the Year of the Dragon. We will be choosing the design from those submitted by our Grade 6 students We will then complete the mosaic with each student having the opportunity to cut and glue on the tiles. Finally, the winning designer will help the Art Teachers present the Mosaic to the School Principal at Graduation in December. As Art Teachers and Learners we are always looking for inspiration for new actiivities and uses for the myriad of art materials that is out there. 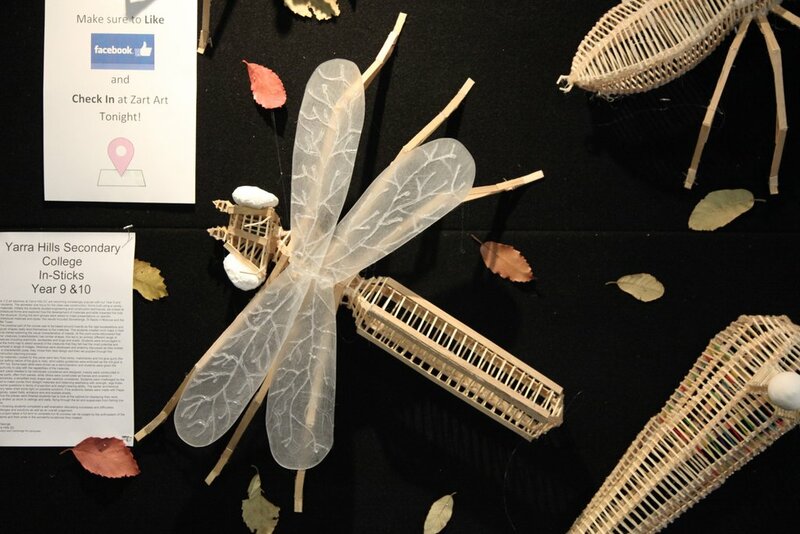 At Zart in Box Hill we discovered these incredible stick insects made from matchsticks and fairy floss (cotton candy) sticks. 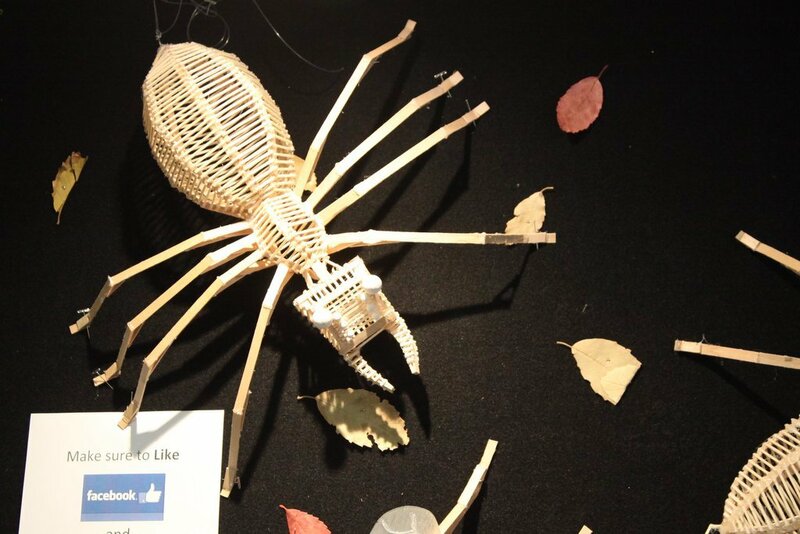 Made by Year 9 and 10 students at Yarra Hills Secondary College, these beasts will certainly inspire our students to consider using matchsticks for constructing objects other than buildings. 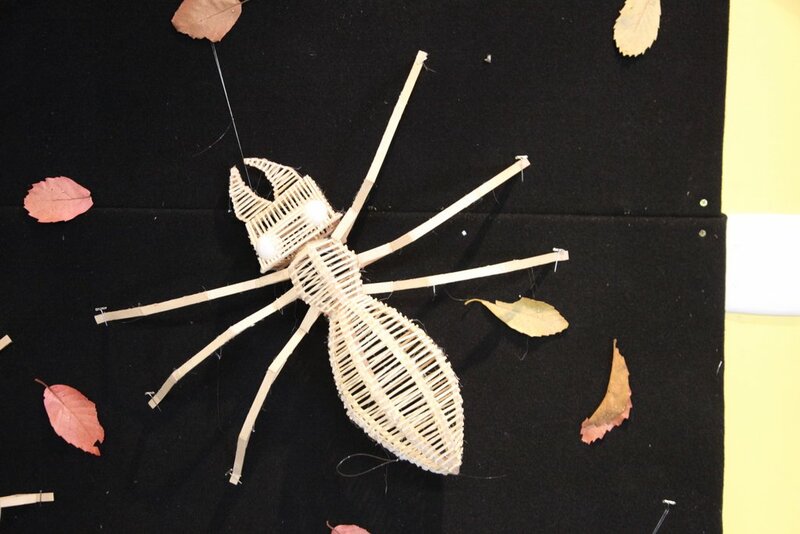 Their work brings new meaning to the term “Stick Insect”. Congratulations to the wonderfully patient students involved.